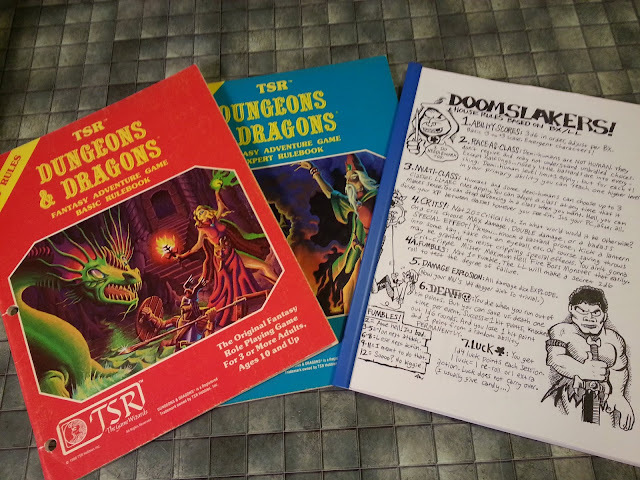 I ran some real Monty Haul games back in "The Day," but it seems like I wasn't much better during my mid-90's D&D renaissance - I may have even been worse. I was glancing through this dungeon while compiling the scans, and I realized just how much the treasure-to-hazard ratio is skewed. Heck, in one room, there's a gem worth 20,000gp and the only thing guarding it is a giant spider. It's practically a giveaway. I almost think I made this dungeon solely to pump up low level characters. I wouldn't recommend that anyone run this as written - it could use a little beefing up, even if just by adding some really challenging wandering monsters. You know, I kind of like the idea of giving the players a ridiculously expensive singular piece of treasure like that. I mean, they still have to cash it in somehow, and at that price it wouldn't be an easy thing to do on the down low nor would it be easy to get more than half of what it's worth from a buyer. I can imagine rumors of the adventurers being in possession of this great treasure with no utility besides it's worth and attracting all manners of criminals who will attempt to mug or kill them even for such a large sum of money. The player's initially could end up either paranoid, or brash about it. Some might cash it in right away even if they knew they weren't getting the full value, but I guarantee most people would want to keep it until they find a buyer willing to pay more, especially if they knew what it was worth. I do agree about the cashing in issue, though. Even more of an issue is what to do with it, whether it's been converted to coin or not. If you don't spend it right away, you're still a target. In the AD&D 1E campaign I ran in the late 80's, the party finally gave up trying to find a safe place to keep their treasure (a small fortune in gems) - they used a spell to seal their considerable wealth within a standing stone. 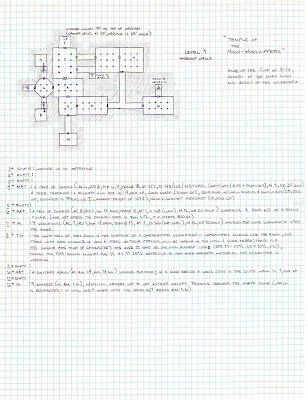 :P They left that campaign setting (a large island) during the next adventure, and the loot's still hidden there to this day. Heh.